We want to give another big THANKS! for all the amazing work you and your excellent staff did for our Quinceñera. From helping us find the hall , to working with us on the menu to keep within our budget, to coordinating the various rentals and through the end of the reception, you were a pleasure to work with. We really appreciated your responsiveness and we definitely got the feeling that you truly cared and only wanted the best for us. To top it all off, the food was absolutely amazing! All our guests raved about the creativity of the meal and quality of the service. The centerpieces were amazing you went beyond our expectations. You guys are definetly the best. Not to mention cake and desert were delicious! 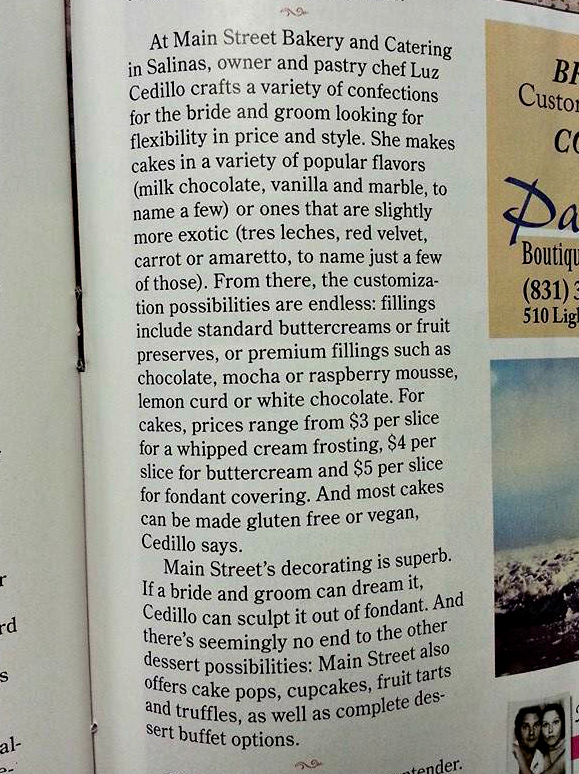 So, thanks again Main Street Bakery and Catering with a special thank to Luz "the cake lady" best wishes! 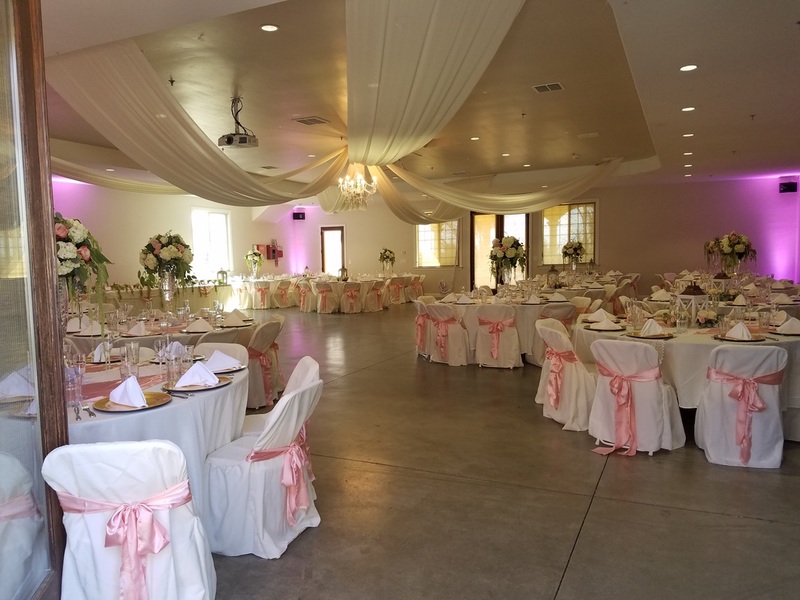 Omg luz I can't thank you enough, am so happy with all you did for us everything was amazing food,decor,flowers cake all your staff beyond my expectations. Thank so much .. no doubt you will alway do all my events. Just want to thank you for the wonderful cakes and cake pops you provided this past Sunday. So many compliments from everyone. Loved the pirate and mermaid details on the cake pops, as well as the mouth watering taste of everything. 5 stars on everything!!! Thank you, we loved the cakes! Everyone loved them! We'll definitely recommend you to all our friends! thank you so much for the cookies, they were delicious and my guests loved them. Everything turned out great, AND the cake was absolutely beautiful. 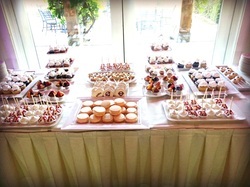 The dessert bar too, my guests devoured every single piece. I wasn’t aware that you are the Cake Lady until I inquired after eating the most wonderful, sinful pumpkin cheesecake at our Girls, Inc. Board meeting last night. Maureen said she picked it up. Another amazing cake!!!!! Delaney was absolutely thrilled with your creation. It was sooooooo yummy, too!!! The cake was beautiful!!!!! Thanks a lot. Hopefully you got a good picture :-) It was beautiful. Key Lime Pie was very delicious but the "carrot cake" cake pop was so good delicious doesn't seem like an appropriate description. YUM! My daughter LOVED her birthday cake! It was but only beautiful, it was soooooo yummy, too!!! old ate part of its leg. Thank you SO much for making the cake! My son loved it! It was a huge hit! were! It was truly the best part of my party, I handed out a bunch of your cards. Your cake certainly was one of the highest prized desserts for our auction. We got $110 for it! The parents were thrilled by the detail of the cake. You certainly gained some new customers! Thank you. tapping both your talents again soon! Thank you so much for your gorgeous work! I completely loved our cake and cupcakes. Rob was so surprised by his groom's cake, and he loved it! 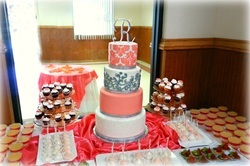 I know that my photographer took a ton of pictures of all of the cakes and cupcakes. His name is Mike Danen, I'm sure he would share the pictures with you if you want. you another request next month for a cake Stay tuned!!! Again, thank you for everything! You are very talented. The wedding cake was fabulous! We have so many good pictures of it, and still the guests are talking about how beautiful the cake was. Thank you so much Luz! The decorations were fantastic as well!! Everything was perfect! Thanks Luz! I hope your opening goes smoothly! Thank you so much for the groom's cake. It was the hit of the evening not to mention delicious! Truly loved it. Thanks again!! and the cake was delicious. Hi Luz, this is Kristin! Kristin: I'm sorry to contact you so late but I just wanted to tell you thank you for such an amazing cake! they tasted just as great. I finally got to try some of it and it was so good. fantastic, outside & inside. Our guests loved it too. think of an awesome cake for you to design! delicious! It was a great experience doing business with you. My husband and all his friends loved the cake. It was so moist. Strawberry Shortcake cake you made! So beautiful and such nice detail! had my daughter's 1st birthday party and was sadly disappointed with the cake. (especially for the price). So I am so glad my cousin Jennifer found you! with all our guest too! Cake was delious also. to make some sort of a construction party cake. 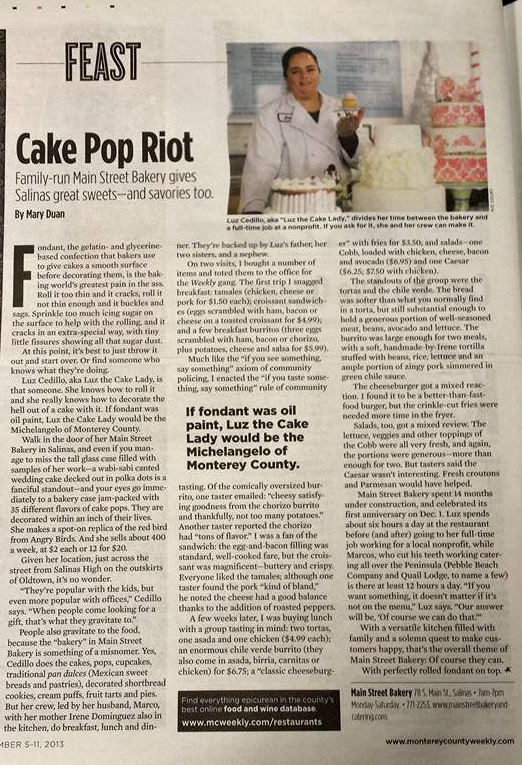 stop eating or talking about the cake - first adorable, second delicious..
Will need delivery to Capitola, CA. Theme is construction. I will leave the rest to you. Thank you for making my son's birthday day so memorable. 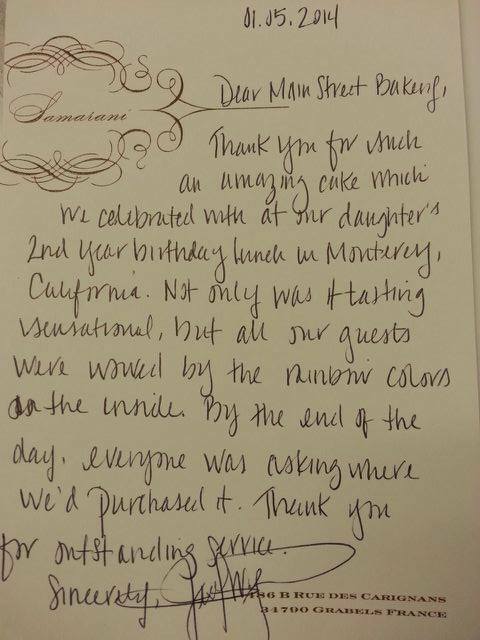 the cake was fantastic, outside & inside. Our guests loved it too. I just wanted to tell you "THANK YOU" "THANK YOU" THANK YOU" you are the best. My cake was so much more than I could ever ask for. It was so beautiful, it looked so elegant on the plate and most of all was delicious. I am not even sure I can even express my gratitude. but you exceeded all my already high expectations. Once again, "THANK YOU"
Your cake was a hit! Everyone loved it. It was beautiful, and very, very tasty. Perfect. I don't think I have had a better tasting wedding cake ever. Thanks again. I appreciate your hard work and talent. 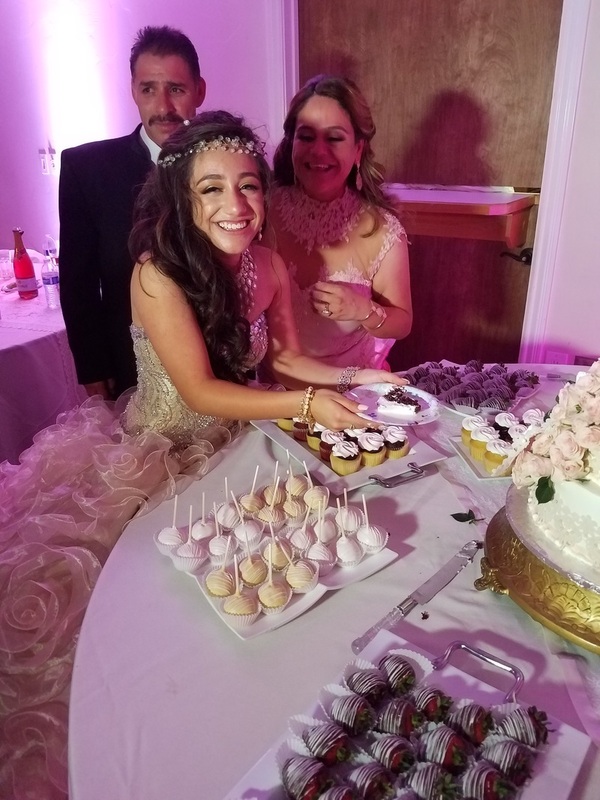 I have never heard so many compliments on a wedding cake in my life it turned out awesome and the cake pops were a hit thanks again... Mandy M.
Hi Luz. I was just going to send you an email. 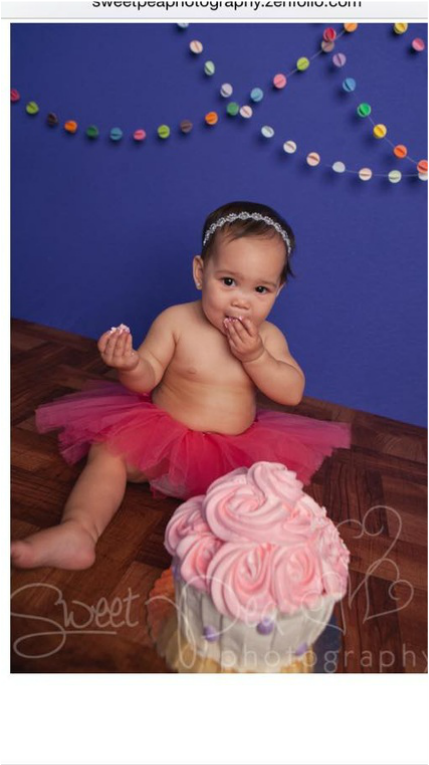 First of all the cake was a hit. I have so many people asking where I got it at so I think you will be having some new customers. Secondly it tasted great so moist. It was just good and third I loved it too pieces. Thank you so much and I will definitely be using you in the future. Hi Luz, your cake was a hit with Chiefie and his co-workers. You are well known! Thank you for the cake and I will definitly call you for future projects:) Have a great weekend. Just wanted to thank you for your wonderful services, everybody was very happy with the all the goodies you prepared. I wanted to take the time to thank you so much for your services. 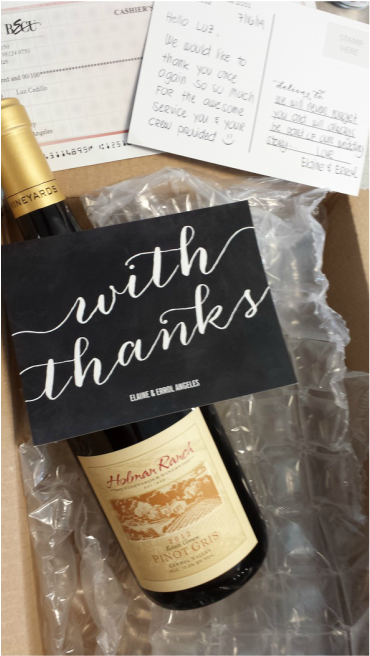 We appreciate your being on time and providing beautiful products. We'll definitely refere anyone needing your services to you. Thanks again!!! I like the new website a lot. It looks very nice and is easy to navigate, and much more professional. I couldn't find a place to leave a comment so I will send it to you. The cakes were perfect. Just what we had discussed and planned. Our guests and the two birthday boys just loved them, though their parts got completely destroyed. I have kept your information for future events and will be ordering from you again. The delivery service is very nice and I recommend you keep that, o/w I would not have ordered. Thank you so much for creating my daughters special cake. This made my baby's second birthday the perfect garden party for my princess. The cake was so delicious and so beautiful it almost broke my heart to take a knife to it. All our guest wanted to know where it came from. We were so excited to share your blog with them knowing the quality we would pass on. Luz Thank you so much. The cake was wonderful - it tasted so delicious. Barry loved the mocha filling in the middle of the cake and the guy on top was perfect. The check didn't make the cut off for the mail yesterday but will today. I want you to know that the wedding went very well and the cake was spectacular. We were so pleased with it . Thank-you so much. We will recommend you to others. It was a beautiful day! I wanted to write you a small note to thank you for the cake this past Saturday. It was awesome!!! I’ll be sure to write in your blog nothing but good things! Thank you so very much for such an amazingly beautiful cake and cake pops. I can’t stop telling everyone I know about them. Everyone at the party loved the cake to the point they didn’t want to mess it up by cutting into it. The cake was so moist and delicious. The cake just melted in your mouth. Everyone LOVED it. I told everyone exactly where you’re located at. Again, thank you very much for an unforgettable cake. I will definitely be in touch. Thank you so much. The girls were surprised and delighted. At first they didn't want to cut it, but they soon got over that. One of them declared it the best cake ever. I posted some pictures of it on facebook, and made several of my friends quite jealous. I can't thank you enough for pulling off such a fabulous cake on such short notice. First I want to thank you for the Michael Jackson cake. As usual, it tasted great and was beautiful. My son loved it and everyone thought it was “super cool”. My daughter’s birthday is coming up in April. She’s having a Tinker Bell party and I’d like to get a quote on her cake. It was such a hit! That's what people seem to remember most from the party, the cake! I put a pic. of it up on my FB account with your name and number, since so many people were asking me about you. I hope you don't mind. Your cake was a hit with Chiefie and his co-workers. You are well known! Thank you for the cake and I will definitly call you for future projects:) Have a great weekend. I just want to thank you for Alondra's and Alyssa's birthday cakes they were perfect! You are very talented. The cake was absolutely beautiful and of course…..tasted just as great. It was so much fun watching you put the finishing touches on it too. I was so looking forward to that cake and you definitely delivered. What more could a 4 year old ask for than a big beautiful Barbie cake. Thanks so much and I’ll be in touch soon with another order for my son’s birthday. The cake was delicious. So I was wondering can you make a cake like the one below? Thanks for the wonderful cake. Everyone was amazed. I would like to order another cake. I want you to know that the wedding went very well and the cake was spectacular. We were so pleased with it. Thank-you so much. We will recommend you to others. It was a beautiful day! Thank you so much for the pregnant belly cake. The cake was wonderful and everyone loved the design. Thank you so much for the army tank cake you made for my son’s birthday. It was a hit! And it tasted so great. He really loved his cake and was proud to show it off to everyone that walked in the door. The hubby loved it and so did the kids =) Thank you so much, and we will keep in contact. I would like to see more of the work that you have done so that I can refer family and friends to you. It s a wonderful idea to personalize cakes for the occasions. Thank you so much. The cake was wonderful - it tasted so delicious. Barry loved the mocha filling in the middle of the cake and the guy on top was perfect. My son loved it! He said that it was better than a present and saved the ducks to take to work today for his buddies that are also duck hunters. The raspberry filling was soooo good. Thank you so much - the cake is even more gorgeous than the picture. I want to say Thank You for the beautiful and delicious cake. My daughter and everyone loved it. Sorry it's taken me so long to update you on the party & cakes. First of all, let me say I LOVED THE CAKES!!!!!!!!!!!! The cakes looked terrific, they showed very nice. We got the cakes to the party location just fine. I just referred someone ( Jenny) to you for a 1st B-day cake. Hey Luz thank you some much the cake was great! Hi Lucy, everybody loved the giants cake, I will definitely refer you business. Thanks. I just took a quick break and looked at your websites... I like the blogspots one a lot with all the different options of cakes. All the cakes are so beautiful. We loved our cake; it was the hit of the party... AND it tasted great! Thank you again for a great cake!